Thanksgiving is center stage this week, but just 10 short days after that is the first Sunday of Advent! Are you ready? 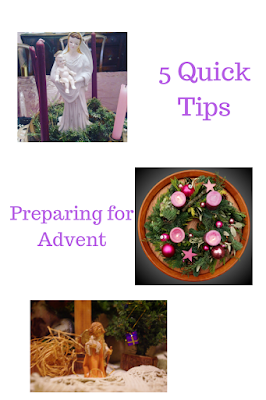 In the hustle and bustle of getting ready for Christmas, how can we truly immerse ourselves in the beauty of Advent? Here are my 5 quick and easy tips for making Advent easy, fun, and memorable while getting ready for Christmas.